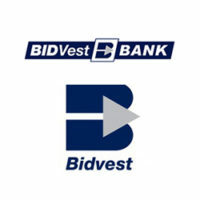 Bidvest Bank is a commercial bank in the Republic of South Africa which offers banking and financial services. It is licensed as a “locally-controlled bank” by the Reserve Bank of South Africa, the national banking regulator. It is a niche bank that specializes in providing personal and business banking services, foreign exchange, retail banking, vehicle financing, and insurance. Through this post, we will be taking a look at the various Bidvest Bank branches that are available in S0uth Africa, Namibia, Botswana, and Malawi. ATM: Located outside of the branch and is available 24 hours a day. ATM: Located inside the branch and is only available during specified branch office hours. Shop 115, Upper Level, Nelson Mandela Square, Sandton City, Sandton Corner Maude and 5th Street. Shop 49A The Workshop, 99 Samora Machel Street, Durban, 4001.